You do not want to hire a contractor with a poor reputation. This is more than likely going to result in you not getting the expected results. To make sure you are getting the most value from your dollar, it is important to hire a professional with a good reputation. This means that they provide good work and are trusted by their clients. A good method to find out if the contractor has a good reputation is to use the internet. With a quick search, it is possible to find various online reviews about the service provider you are interested in. 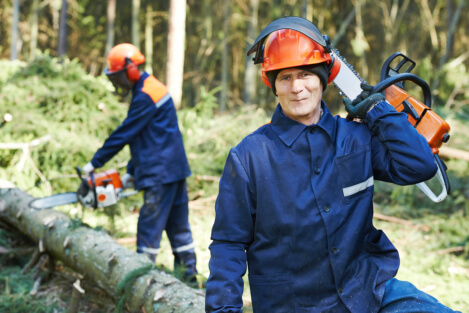 When you are looking for a provider of tree service in Tulsa, Oklahoma, it is important to consider the kind of services being offered. Not all contractors offer the same type of services. Some specialize in tree removal, some specialize in landscaping, and some can offer a bit of everything. In order to save time and money, it is important to determine if the contractor has the capability to handle what you need. Not all contractors provide the same prices for the same services. To make sure that you are getting a good deal, it is a good idea to compare the various service providers. Many of these companies offer quotations on their services, which allow you to compare them with their competition. This will make it easier for you to determine who will provide the best services for you. Those are just a few of the many things that you will want to consider when it comes down to finding exceptional tree-related services in your area. If you would like to find out more about this or if you are interested in the services we are providing, please feel free to get in touch with AJ Tree Service for more information today. This entry was posted in Professional Tree Service and tagged Best Contractors, Tree Removal Services, tree service. Bookmark the permalink.